Have Wind Farms Finally Come of Age? In a word, no. When modern-day windmills, known as wind turbines, started popping up, they were attention grabbing. The huge, white propeller attached to a tall white pole was nothing like the iconic Dutch windmill with canvas “blades” attached to a house-like structure. As a sleek symbol of green energy, the wind turbine quickly became a popular example of diversifying energy sources to include renewable options. But many experts believe wind still has a long way to go. The earliest stages of wind-power research and development brought down the cost of infrastructure and the energy it produced. Commercial and residential wind energy installations provided 4.1 percent of all electricity in the U.S. in 2013, according to the Energy Information Administration. While that doesn’t sound like much, the use of wind farms—installations of multiple wind turbines in a single location—are producing more energy at a lower cost. But there are problems. Wind farms, just like the farms that grow crops, need specific conditions,like flat land, particular soil composition, wind flow and a host of other variables, says Katherine Dykes, senior engineer with National Renewable Energy Laboratory. But they also have to be spaced far enough apart to make sure that one turbine doesn’t interfere with the performance of another turbine. That makes finding ideal real estate a challenge. Anyone who lives near a wind farm can explain the unresolved problems. Noise and aesthetics are the biggest issues on the ground. And problems occur in the air—bird and bat deaths due to collision and electromagnetic interference disrupting airplane radar—says Sameer Hameer, assistant professor at Energy Center of Bahir Dar University, Ethiopia. He believes these issues require attention in order to make wind farms better in the future. Equally important are the people affected by an installation. 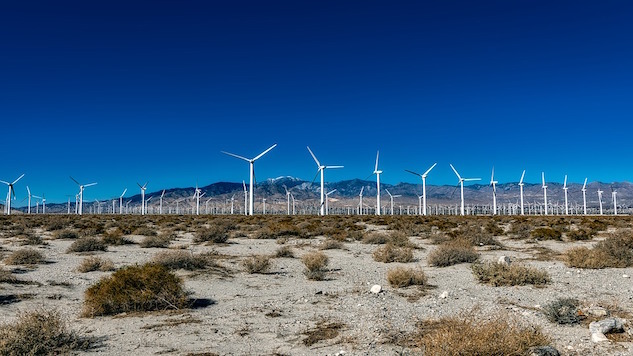 U.S. law imposes requirements on wind farms, including their proximity to residential areas. One possible solution is a location away from people, an ocean, sea or lake. In addition to taking advantage of the stronger, more consistent wind in the marine environment, strategic placement of wind turbines can means no people-related issues. The growing number of offshore wind farms will test this theory. Turbines need wind to generate electricity. Wind turns two or three blades around a rotor. That rotor is connected to a main shaft, which is connected to a generator. The moving shaft operates the generator, which creates electricity. Birds and bats use that same wind to fly. These two facts intersect with disastrous consequences when humans don’t consider the placement of large, stationary objects with rotating blades. It can take 45 minutes to shut down a turbine and still longer for the blades to stop rotating. Birds and bats flying too close won’t survive. An estimate of annual bird deaths from turbine collision in the U.S. is between 134,000 and 327,000 birds per year. The Migratory Bird Treaty Act make it it’s illegal to kill any bird protected by the Act. Even a death that is “incidental,” which means it was unintentional on the part of the wind farm, is illegal. Enforcement can include fines and operational changes, but the technology to prevent such deaths is “experimental,” according to the Audubon Society. A wind turbine with radar, camera or GPS tracking system (some endangered species are fitted with GPS tracking devices) will, in theory, make it possible to identify incoming flocks of birds triggering a turbine shut down. This theory has yet to be proven consistently successful in research or real world applications. Other possible modifications include changing the color of the turbine blades (purple might reduce the number of bird strikes), using vertical turbines that circulate around a central pole (less dangerous to wildlife) and UV lights. Bat deaths aren’t as widely reported, and the reasons they crash into wind turbines aren’t clear. That makes it impossible to know if any of the collision prevention measures being tried will help this population. Some species of bats also migrate and are regularly found dead at the base of U.S. wind turbines in numbers that could reach as high as 650,000 per year, depending on how research studies are interpreted. Frequently, the numbers of birds killed annually by other human activity such as vehicle collisions (approximately 89 – 340 million on U.S. roads) and window collisions between 365 – 988 million annually), are cited to minimize the wind turbine deaths. But the fact remains that many of the turbine deaths are preventable by accommodating the animals who call the sky home when planning and building wind farms.